Earthmoving - Land shaping, Dam building, Multi storey buildings, Factory sites and Commercial property sites. These services are used by property developers, farmers, construction companies, Councils, and private clients. Please see our website or call to find out more. 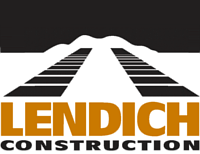 Lendich Construction has a reputation for completing projects on time, within budget and to the specified quality.